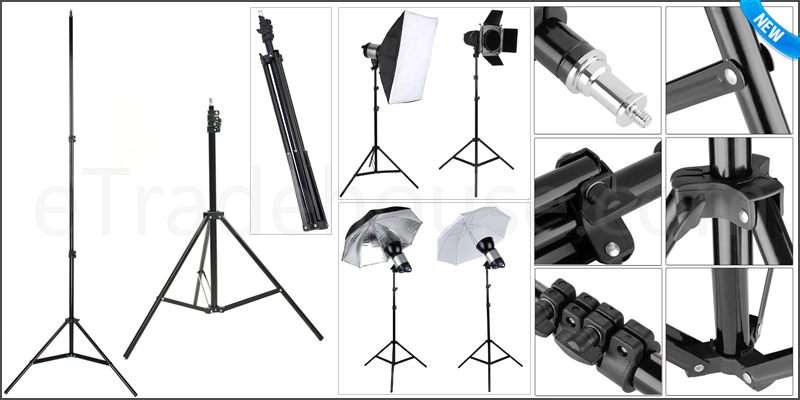 2.1m Aluminium Alloy Light Stand Tripod Photo Video. 2.1 Meter Aluminium Photography Tripod Light Stand. Fold-able and 3 Section Extendable Tripod Stand. Durable Aluminium Steel Alloy Construction. Non- Skid Rubber Feet for Extra Grip. Maximum Height: 210cm (2.1 Meter). 1x 2.1 Meter Aluminium Photography Tripod Light Stand.